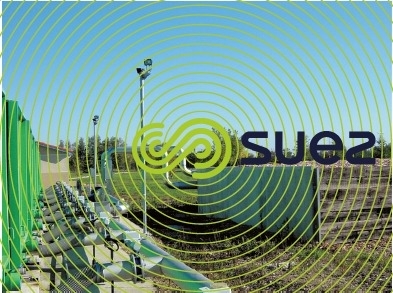 Bearing in mind the aforementioned limitations, SUEZ decided to develop the Thermoposting process: this is an accelerated composting process that takes place in closed, mobile and controlled ventilation biocontainers (figure 3). The sludge is combined with the structuring by-product in order to endow the mixture with an adequate porosity. These handling operations are entirely mechanised and use an “intelligent” grab (photo 2). The mixture is then placed in suction ventilated biocontainers within which the thermophilic biological reactions take place. After three weeks, the compost is stabilised; it is ripened in bins or windrows before being stored and refined in specific areas, according to its end usage. The system is automated and modular; this allows it to adapt very quickly to changes in tonnages to be processed. 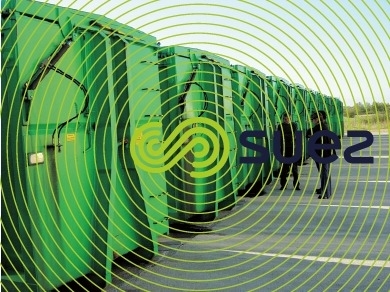 The use of closed biocontainers ensures that nuisances are kept wholly under control. 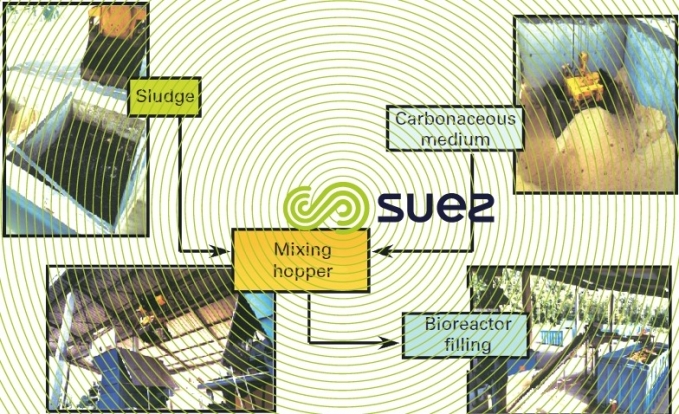 Also, this design allows different batches of sludge to be processed while guaranteeing their traceability. Finally, the composting site remains clean because the sludge remains confined either in preparation tanks or in biocontainers. odour control: using a biofilter.